At 18:00 we had dinner. At 19:00 we went to bed. 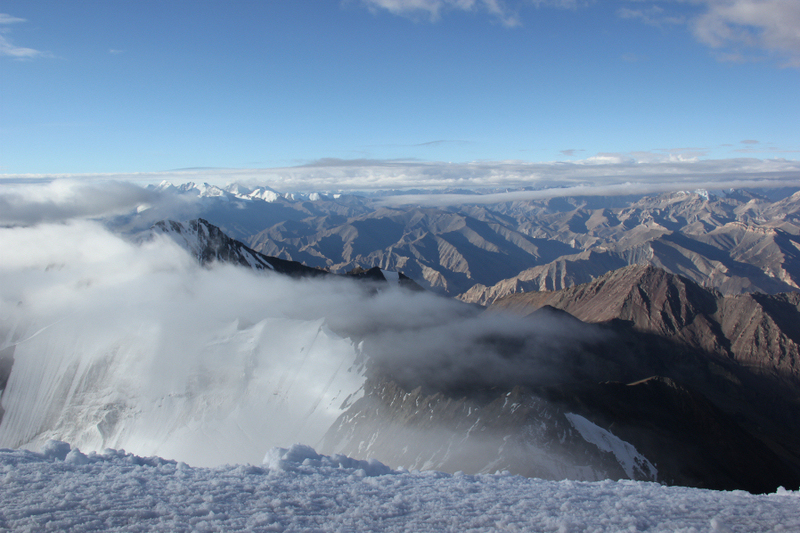 Very little sleep at 4950m! 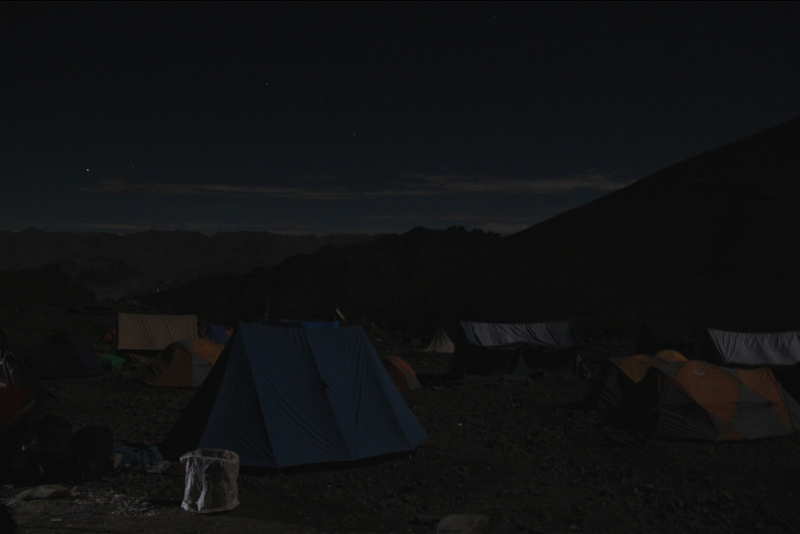 Alarm call at 23:00, a quick breakfast then a trek/climb starting at midnight towards Stok Kangri . 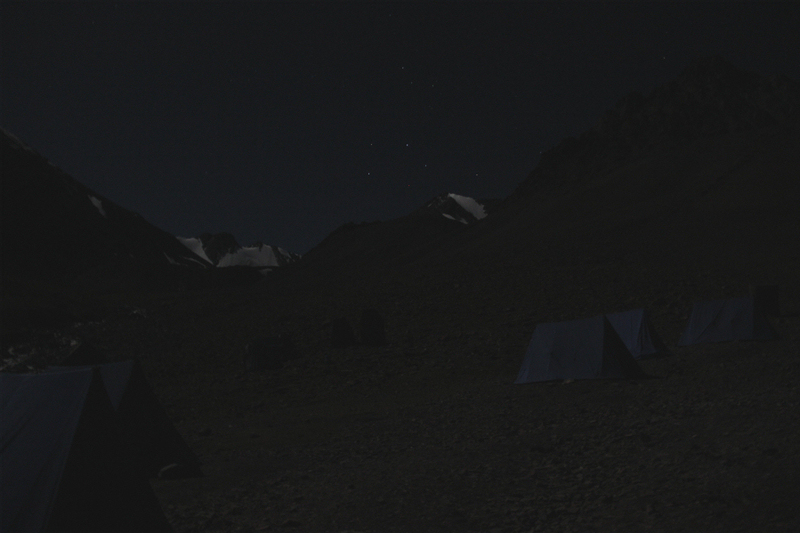 The first five hours of our trek/climb of Stok Kangri would be in almost complete darkness. New batteries in my headtorch. Ready to go. 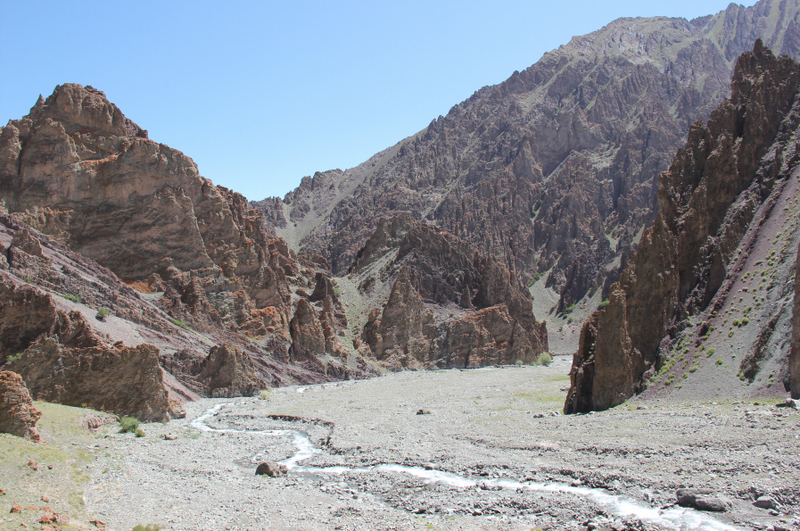 At last, the main objective of the trip – an ascent of Stok Kangri . 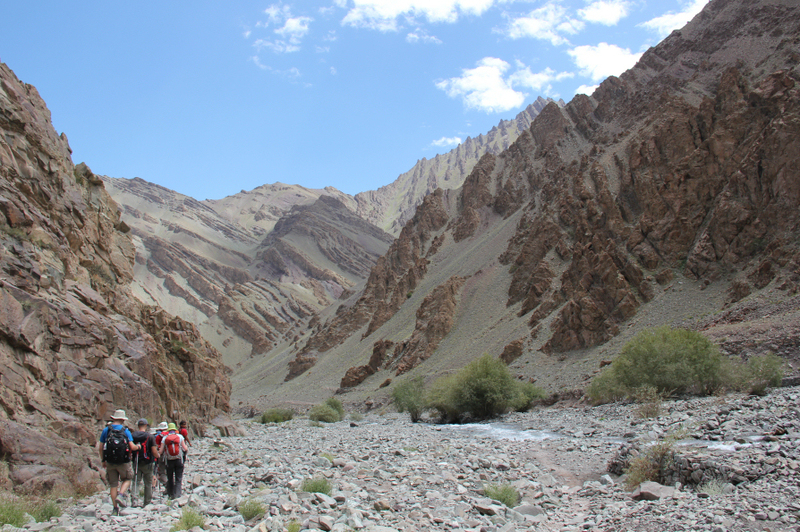 Nine out of ten of our group set out to climb Stok Kangri. 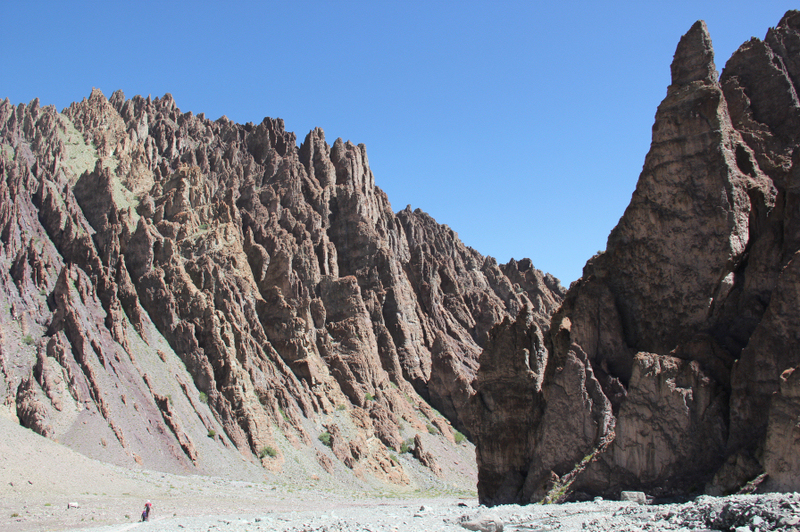 During the first five hours, I attempted to take a number of photos. However, given the necessary long exposure times, and lack of a tripod, I had limited success. 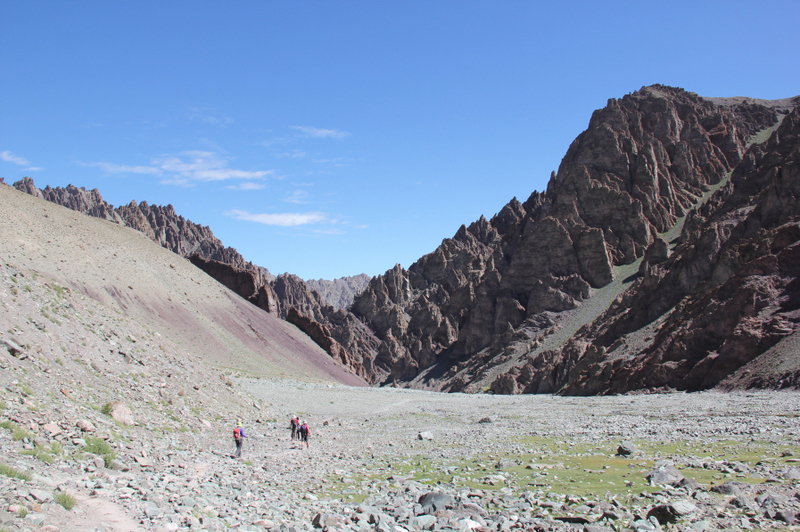 From Base Camp, we set off up the diagonal track taking us to a height of circa 5150m. 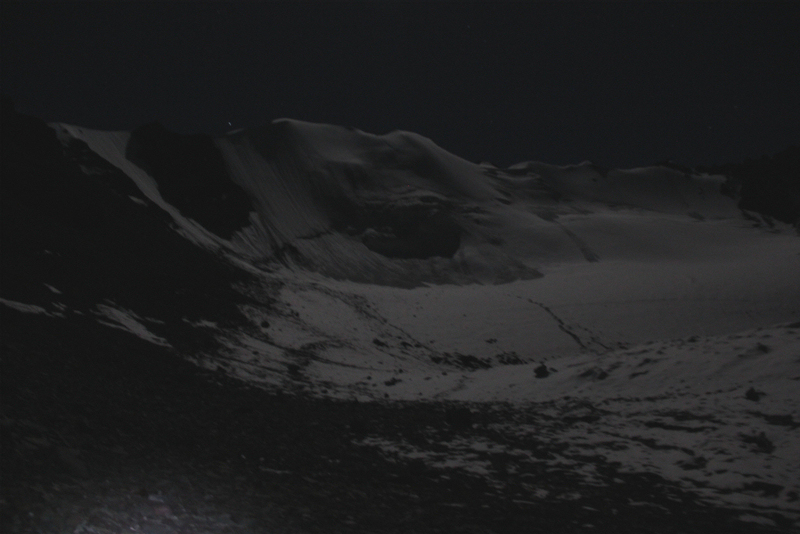 My Petzl Myo XP performed beautifully; an excellent headtorch. 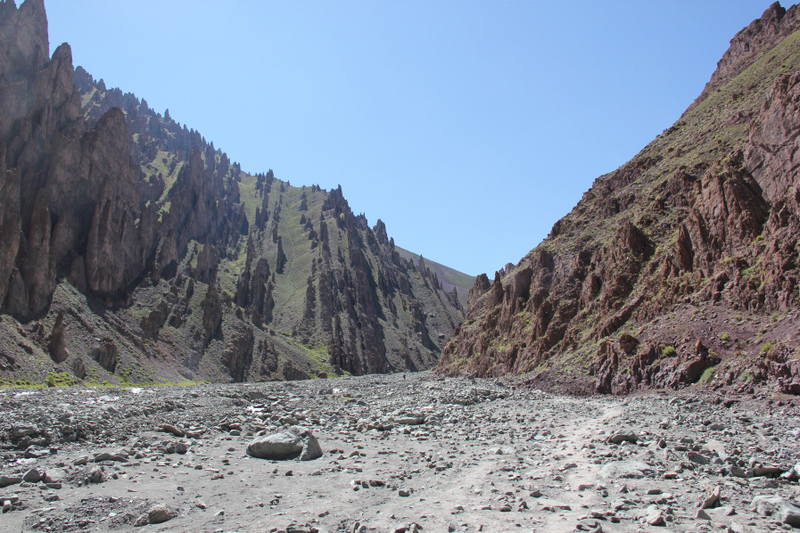 After reaching the top of the diagonal slope, ascending from base camp, we followed a gradually-rising path that would lead us onto terminal moraine and then the glacier. 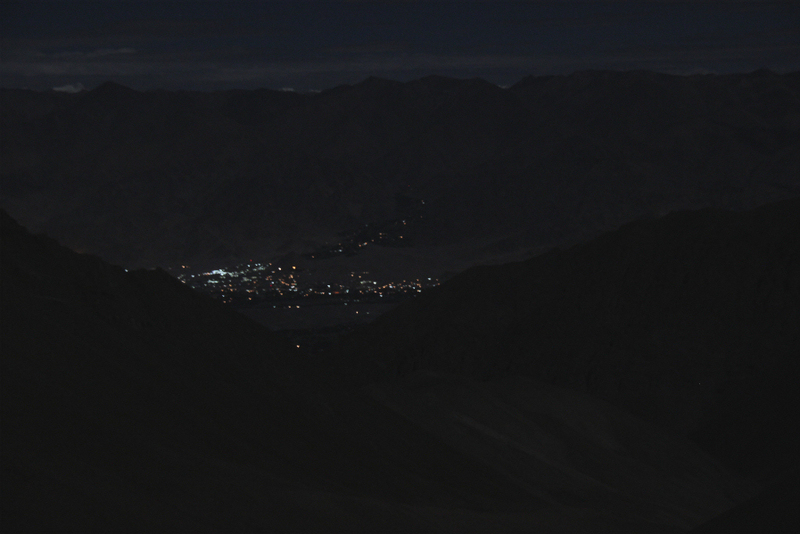 During the walk along the track we could see the lights of Leh a long way down below us. 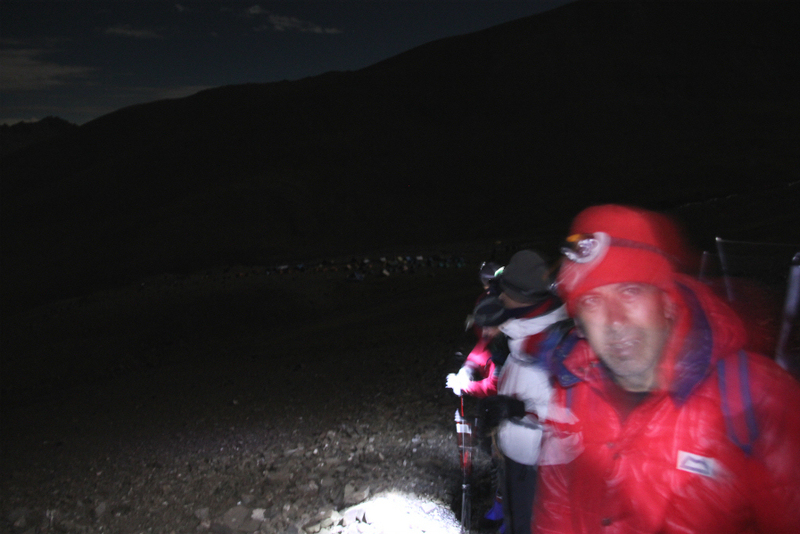 Crossing the terminal moraine was a bit of a pain in the dark. 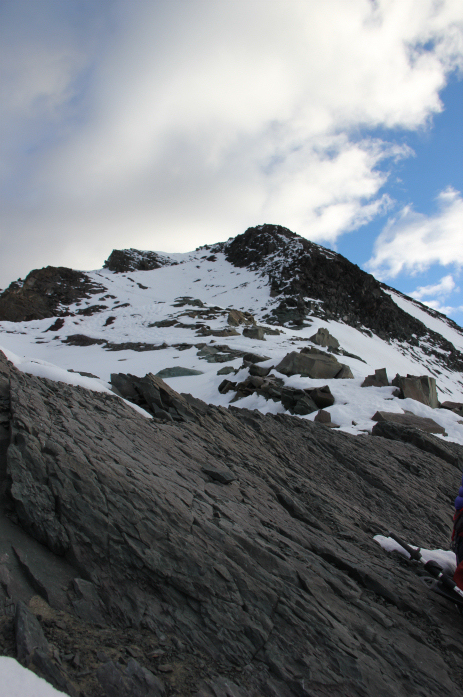 It was great to get onto the snow of the glacier. 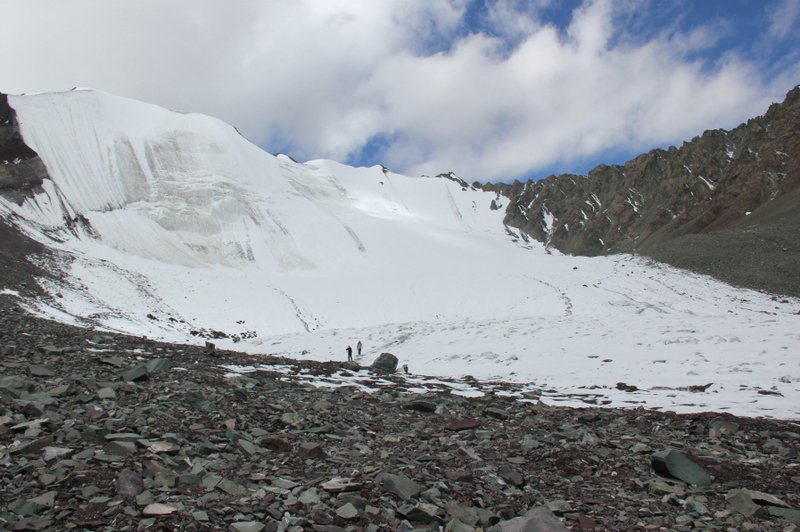 The glacier was fairly small and straight-forward to cross. No need to rope up. 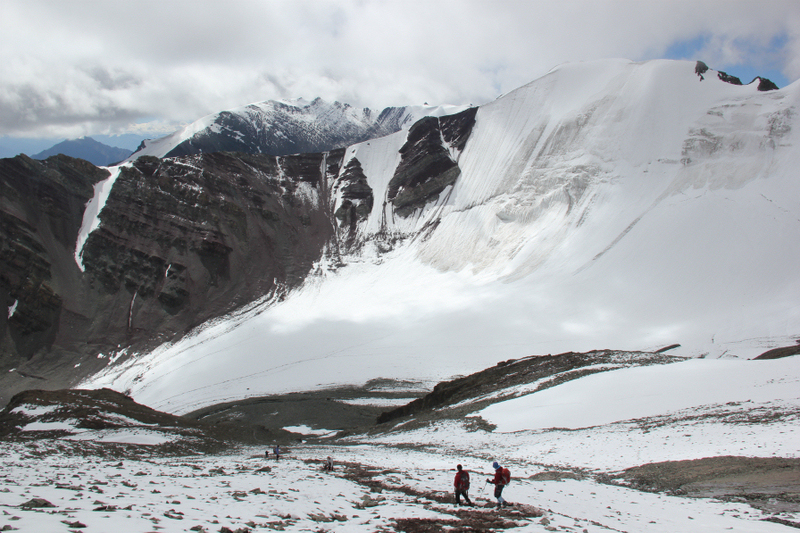 There was only one highly-visible crevasse to jump across. 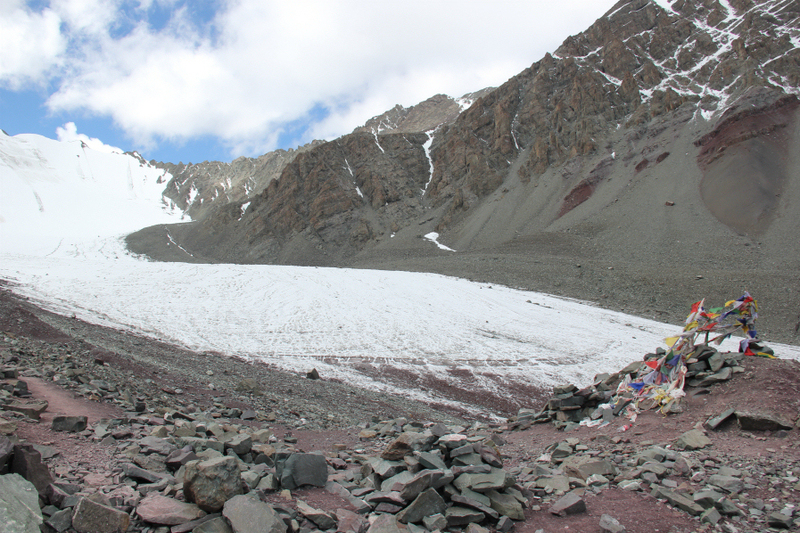 The glacier is at a height of circa 5400m. 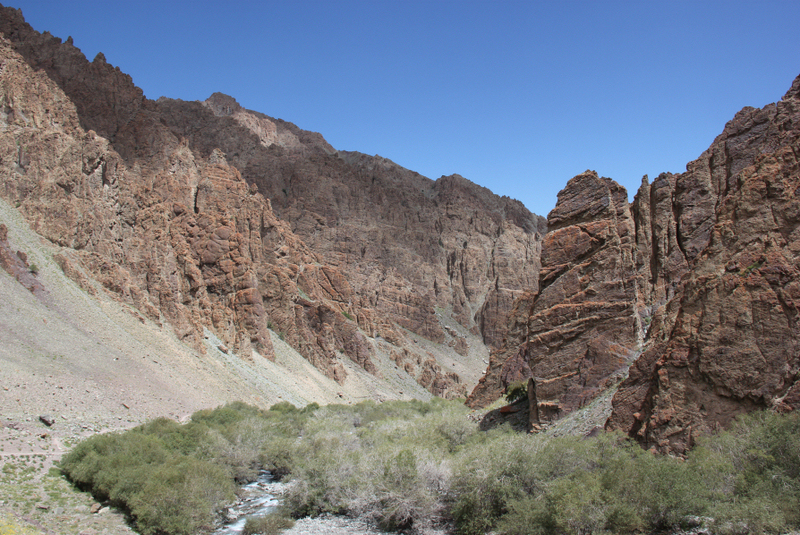 The next section of ascent was fairly arduous. 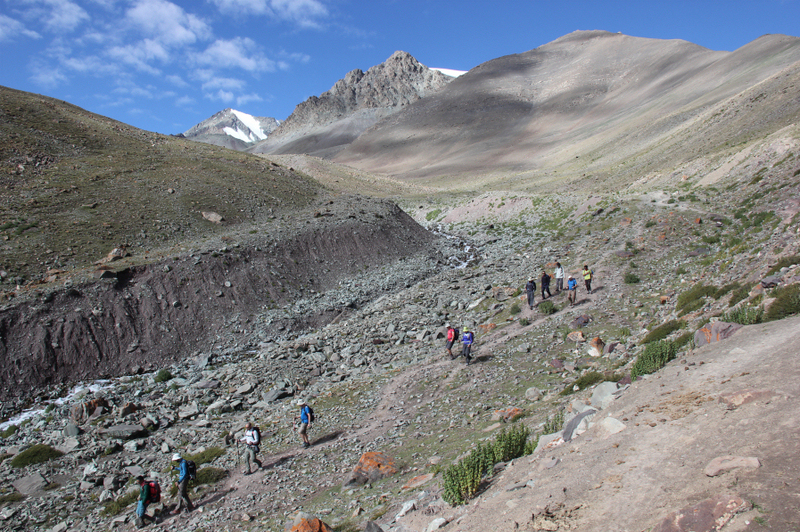 It took our group considerable time to ascend from the glacier onto the ridge of Stok Kangri. 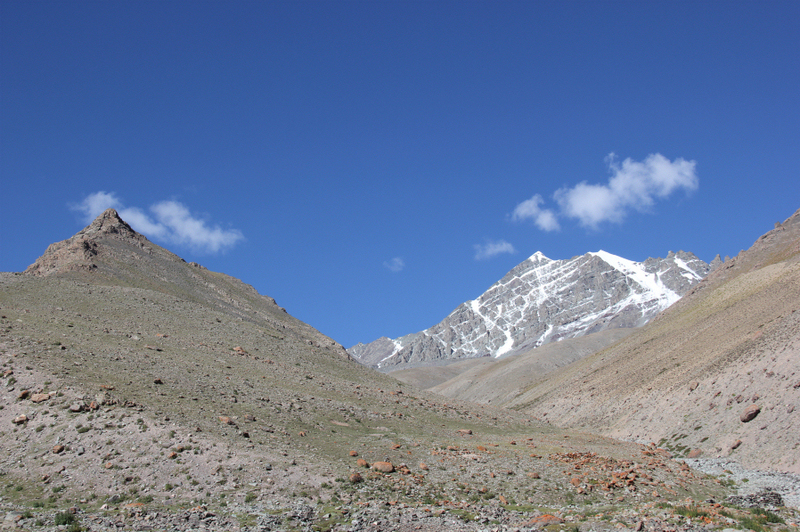 The ridge starts at 5850m. During this steep, arduous, ascent one of our group turned back . 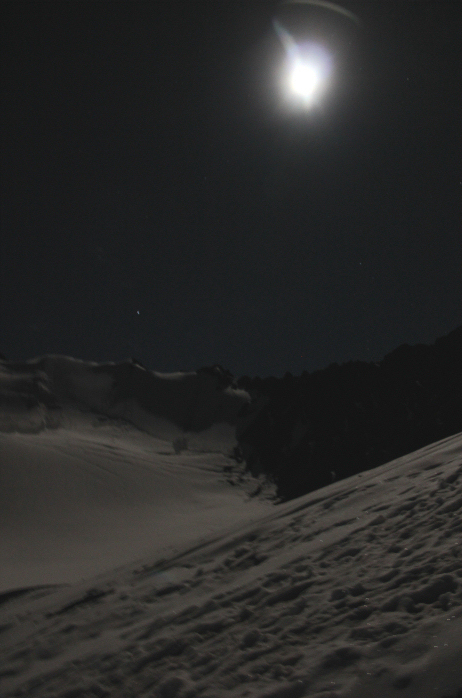 As it was a clear night, with many stars visible above, it was cold and very icy underfoot. 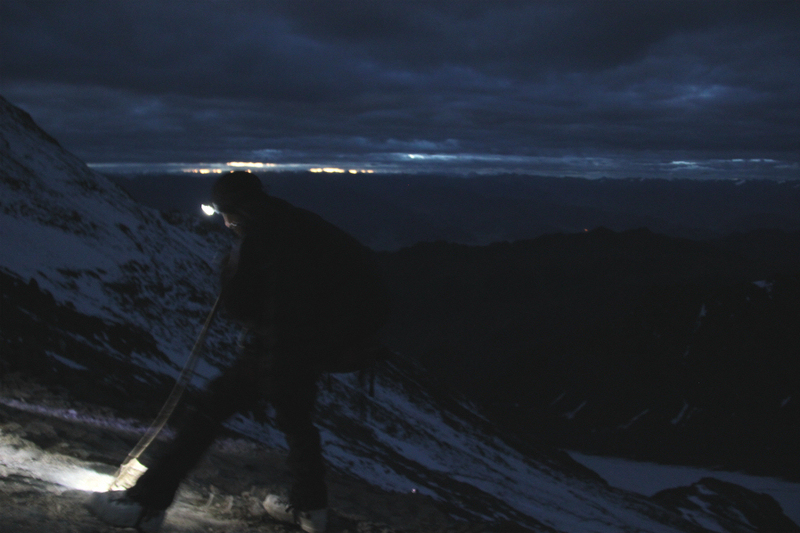 It was great to see first light and to get our headtorches switched off. 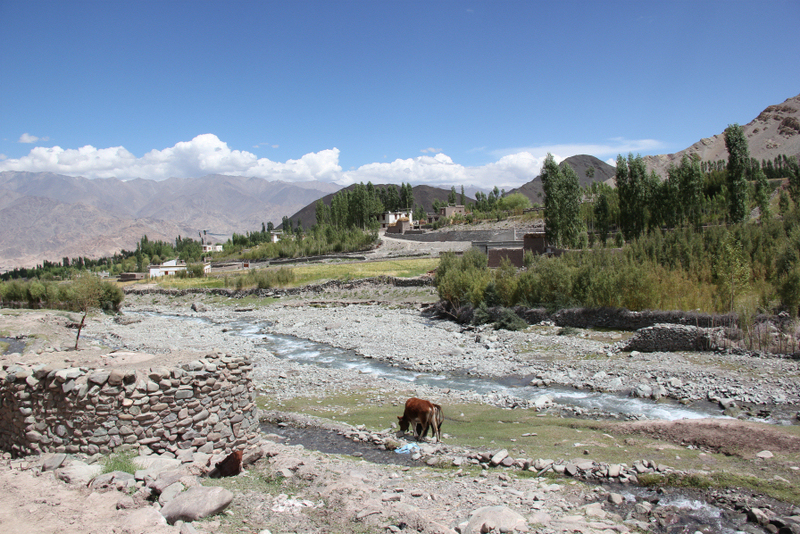 Within what seemed like a matter of minutes we were walking in daylight . 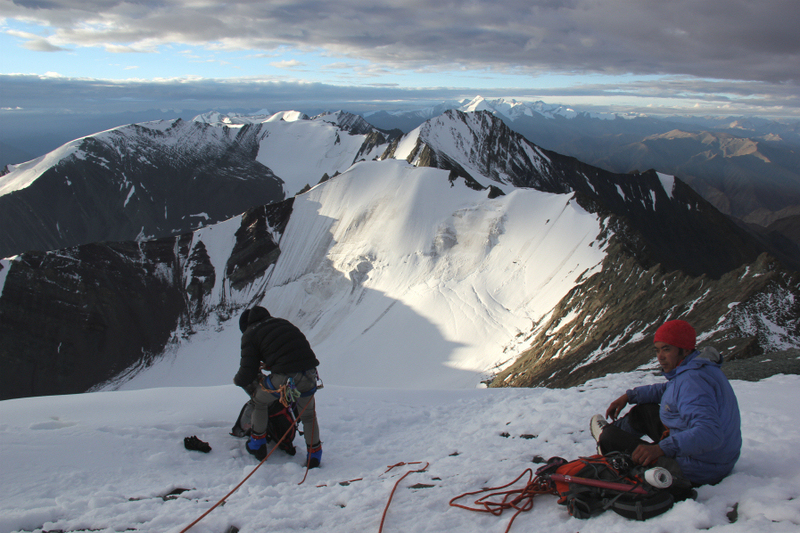 On reaching the ridge, our guides had us rope up for the final 300m of ascent. Crampons on and ice axe out. 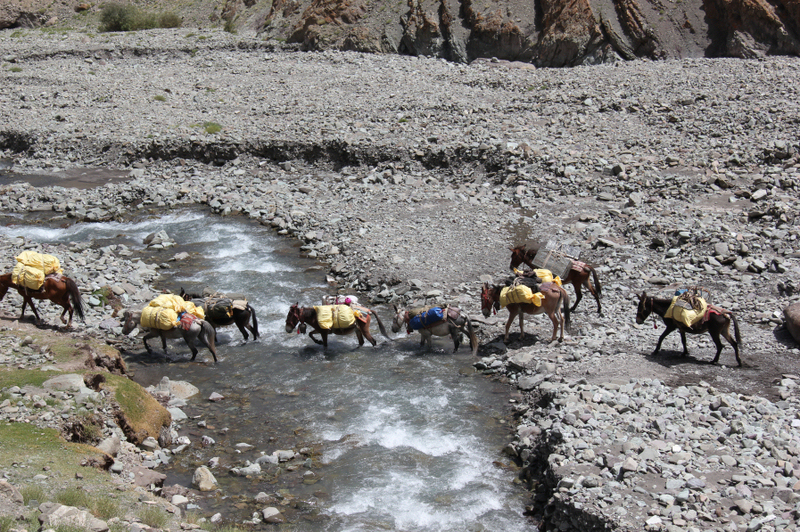 We were split into two ropes – the fast group and the not-so-fast group. Not sure why I ended up in the fast group . Being honest, I was a bit apprehensive to rope up as was my Italian friend Francesco. Five per rope, including the guide, with the rope simply tied round the guide’s waist using a bowline. If there was a fall, things could have become “interesting”. This was purely roping for “confidence” and I wasn’t lacking it. 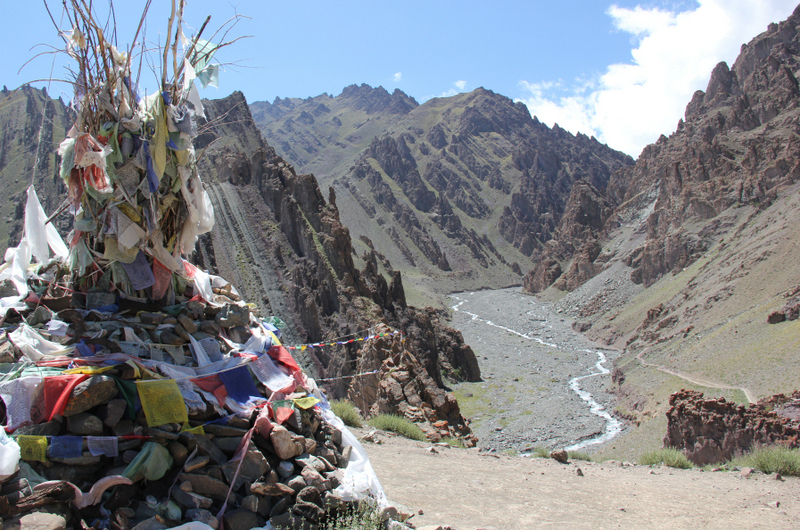 The ascent of Stok Kangri, although called “a climb”, is not in anyway technical. 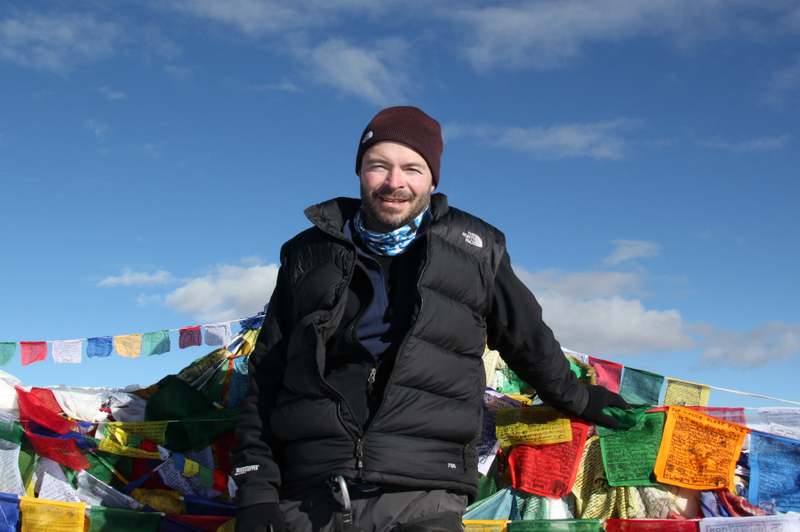 No more difficult than walking some of Scotland’s easier ridges in Winter. 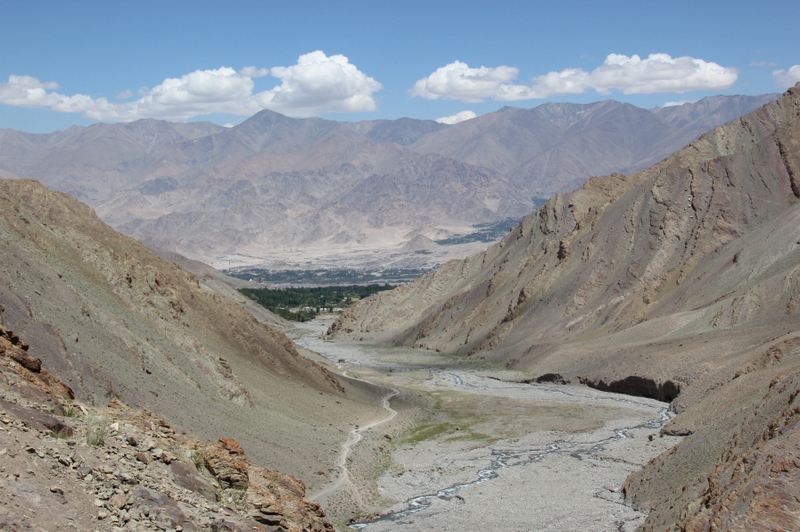 The big difference however is altitude! 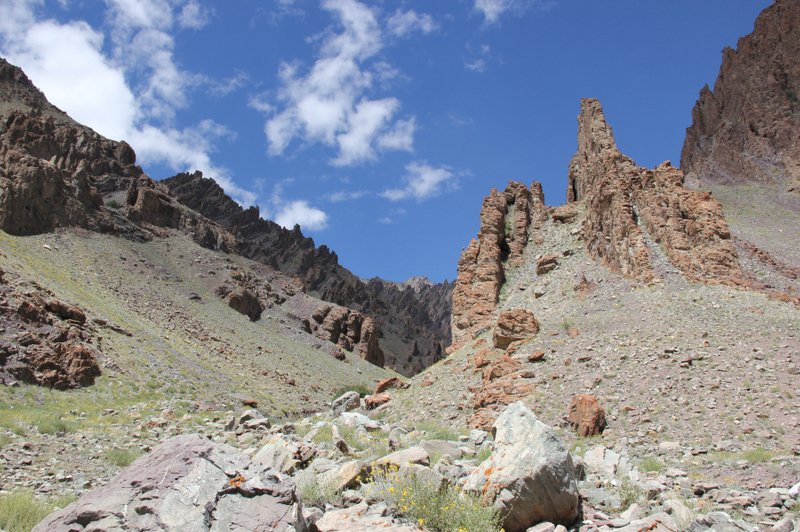 On reaching the ridge at 5850m, I felt reasonably o.k. However, by the time we broke through the 6000m barrier I started to struggle to get sufficient breath. Sod going too fast, “slowly, slowly, slowly, slowly”. 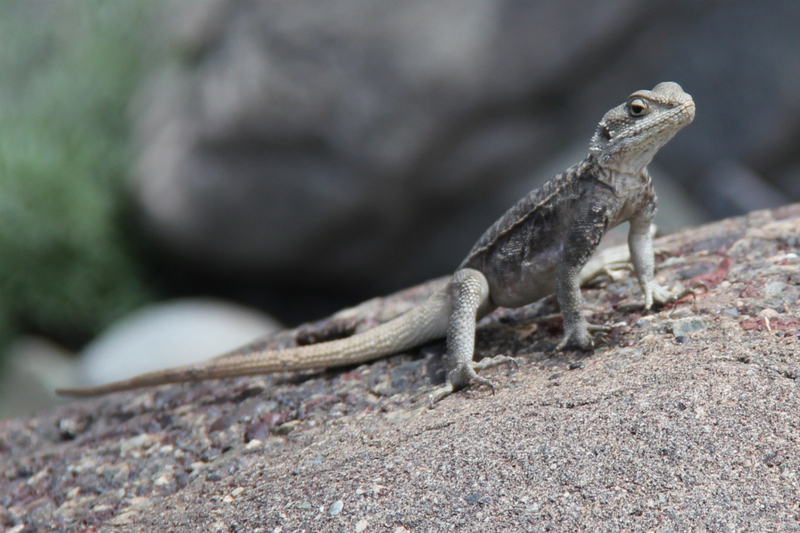 I was determined to reach the summit but at my own pace. I had lots of thoughts running through my mind. 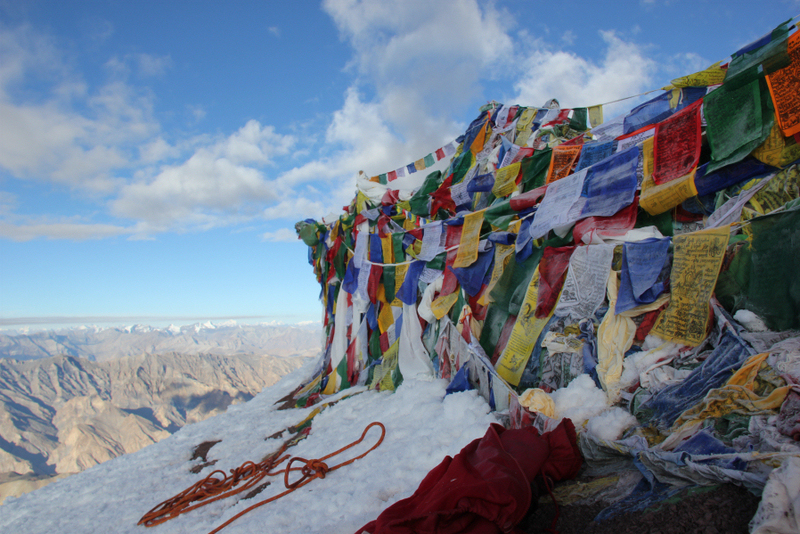 I wanted to reach the summit. 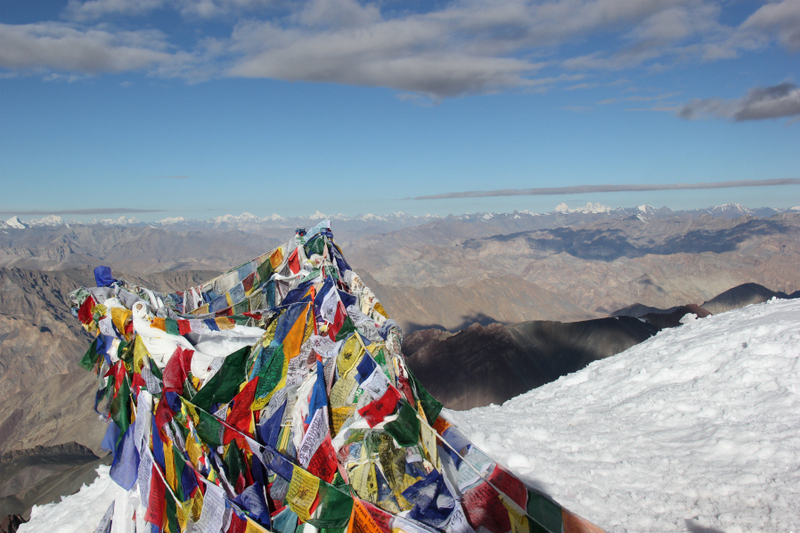 I was doing this ascent for charity so it was necessary to reach the summit. 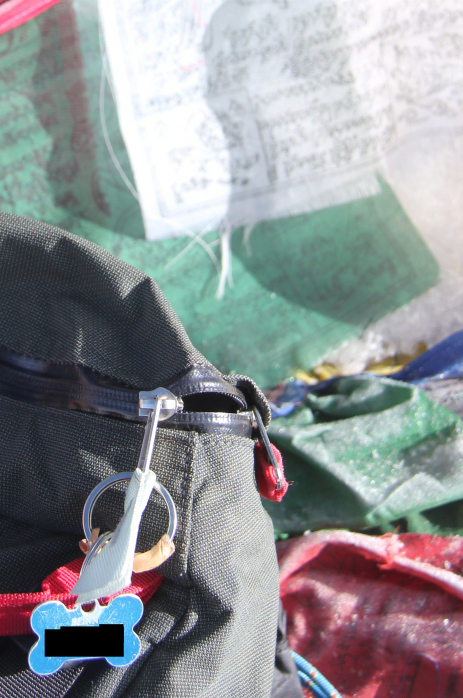 I was also doing this ascent for Beinn and had his dog tag with me attached to my rucksack. Beinn was with me all the way. 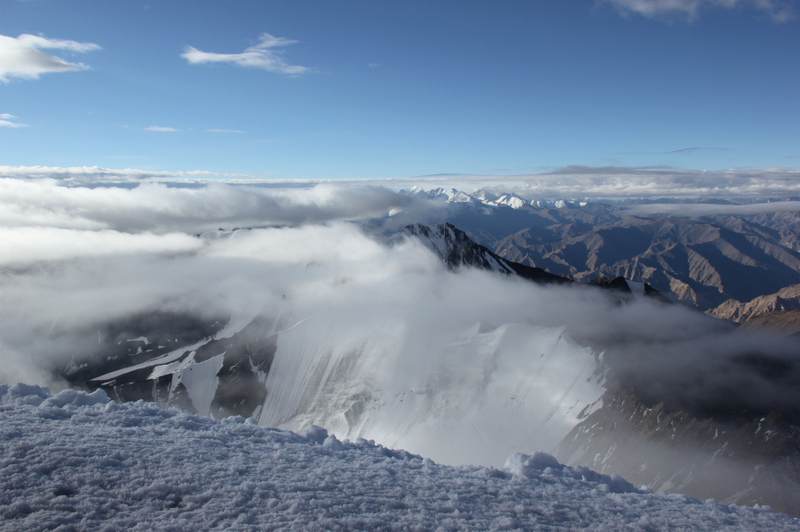 6000m, 6050m, 6100m, 6150m … and then the summit. SUPERB. I did it . 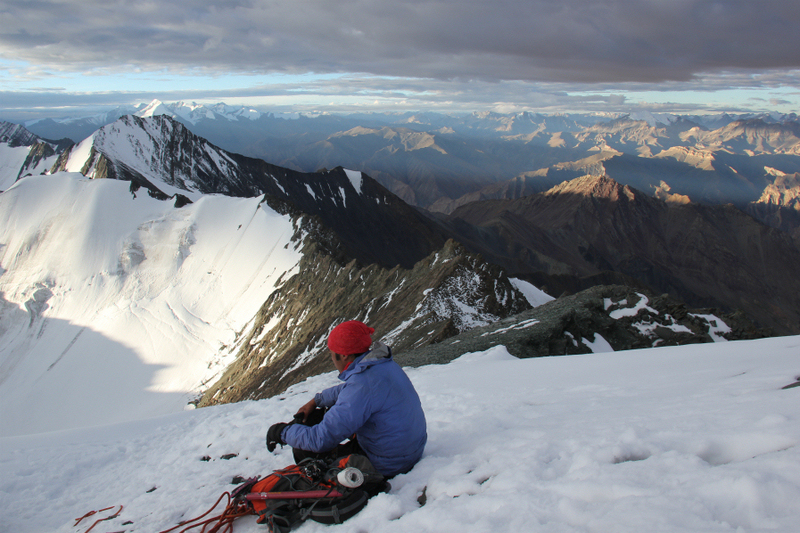 On reaching the summit, I lay down for a few minutes for my heart-rate to slow down and then got up to soak in the views and take a number of photos. 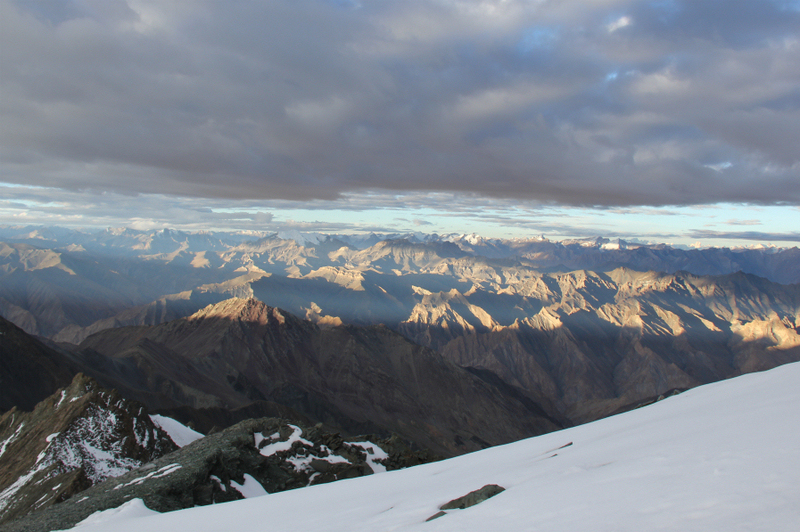 Was it worth carrying a 1.5kg DSLR up there? I remain to be convinced. It felt much heavier up there. It was great to congratulate my fellow trekkers, Francesco, Eli and Romilly. 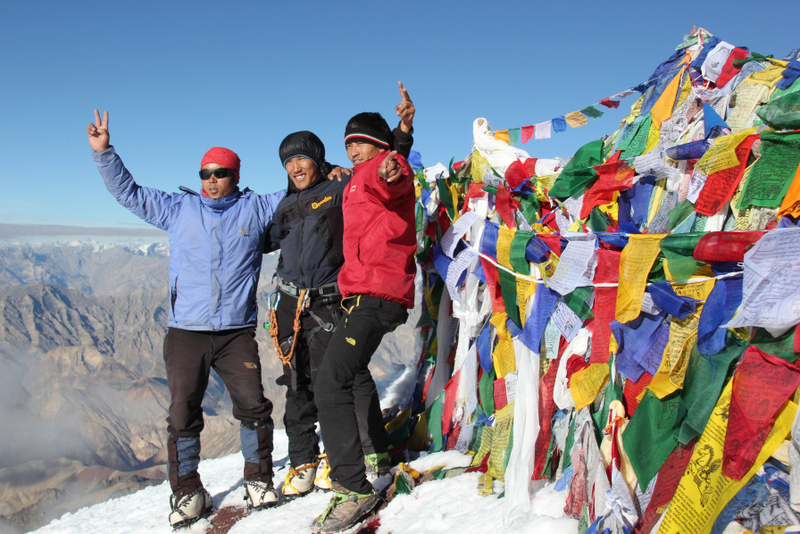 The fast group had made it to the summit. 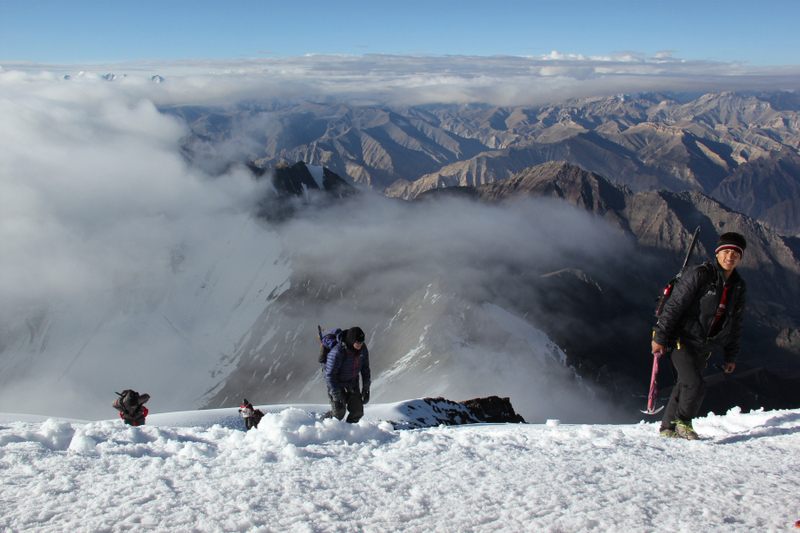 Circa 10 – 15 minutes later, the not-so-fast group also made it to the summit. SUPERB! Eight of our party of ten made it to the summit . 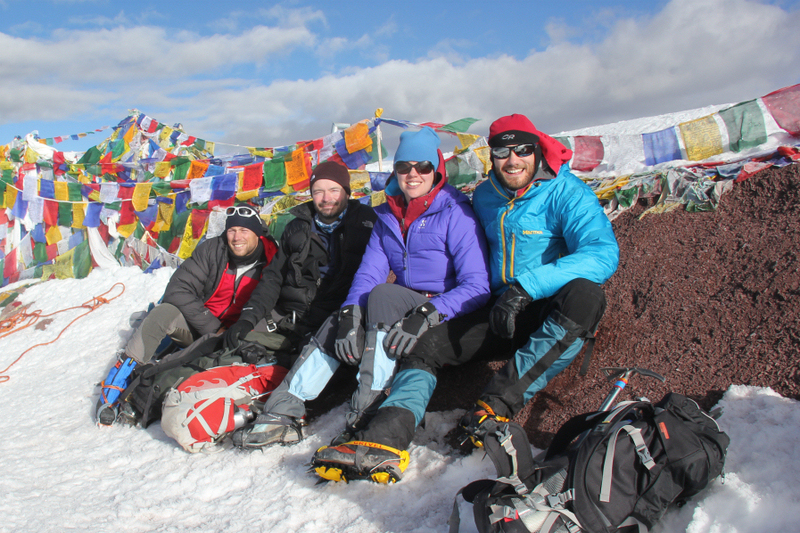 The two group members who didn’t make it to the summit were also supporting a charity. 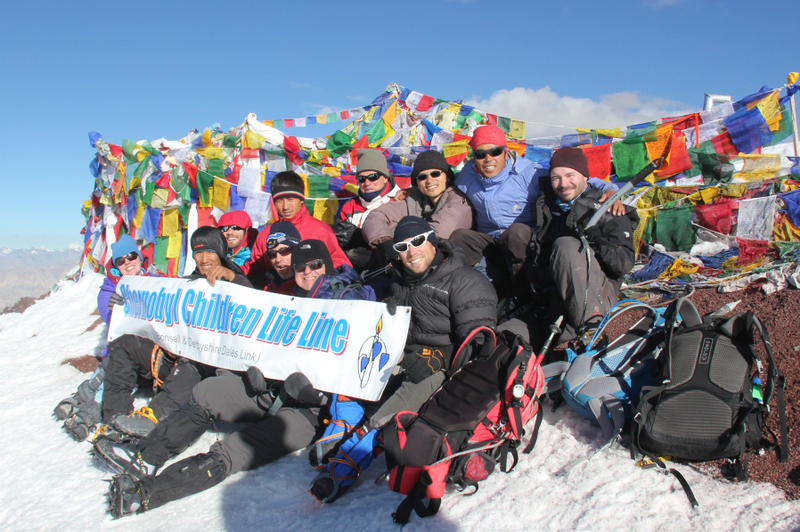 We therefore took their banner to the summit and got a summit photo with their banner. 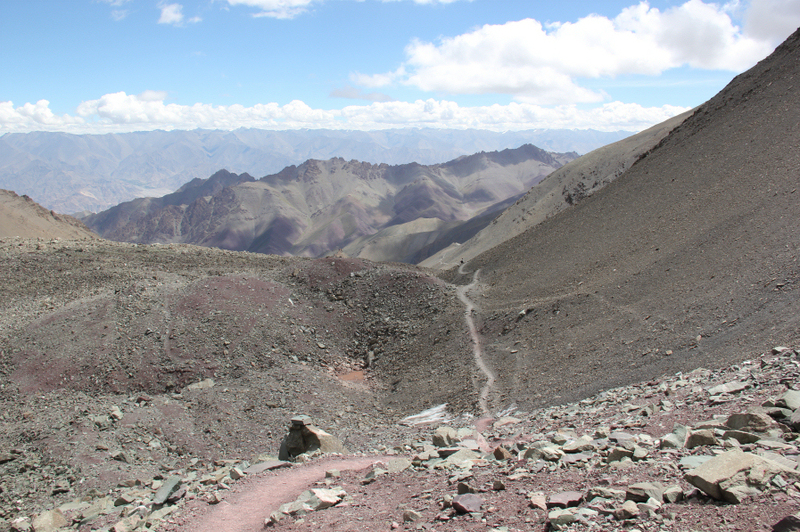 From the summit, we had to descend 1200m back down to Base Camp. 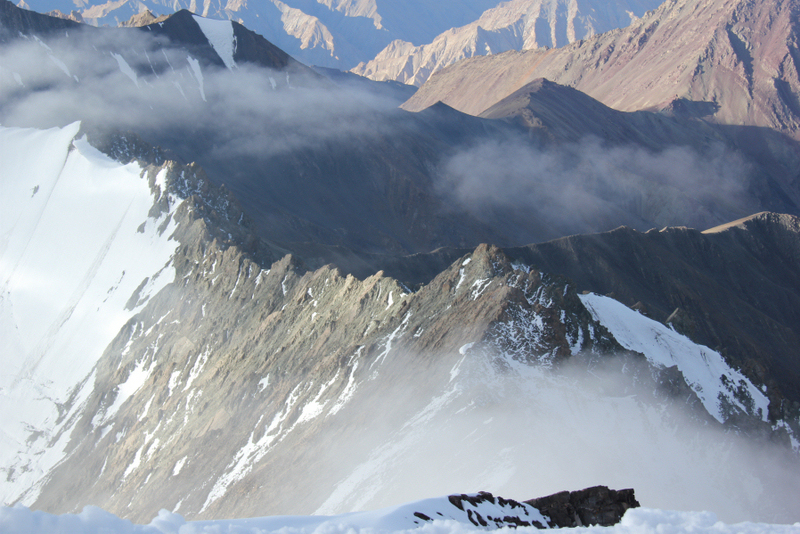 We took our time going down the ridge but it wasn’t difficult. 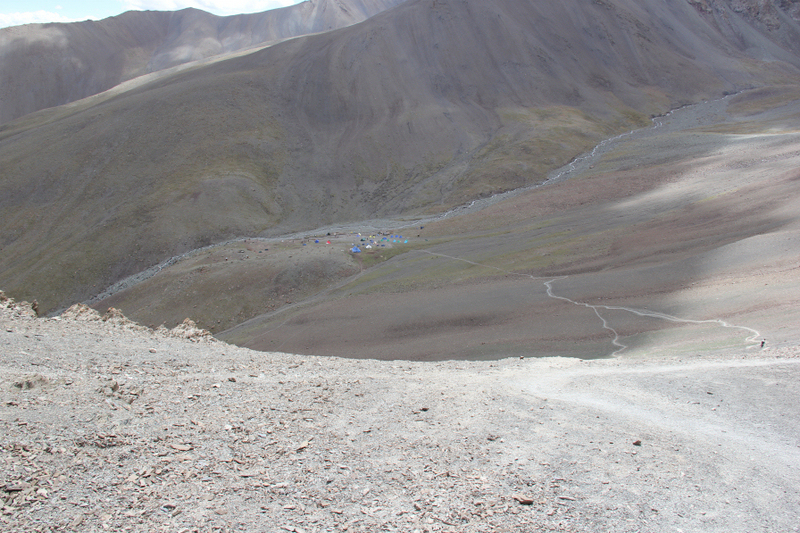 The 450m descent back down to the glacier seemed to take forever. 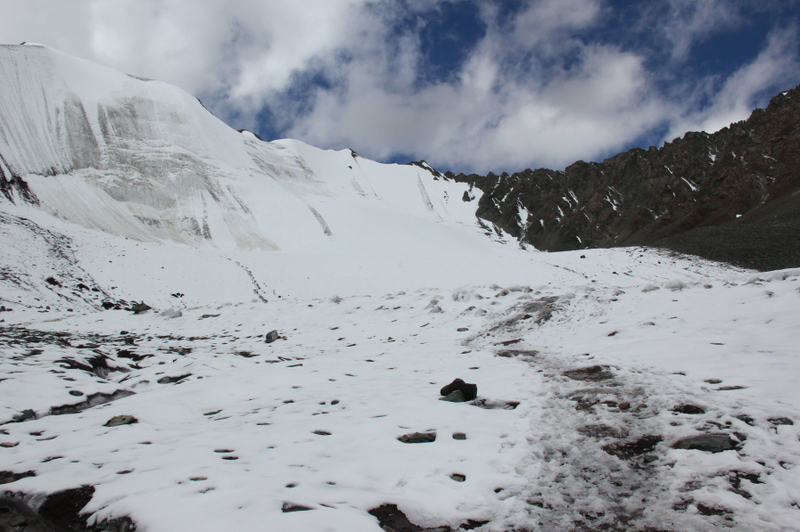 It was great to reach the glacier. I like walking on snow. 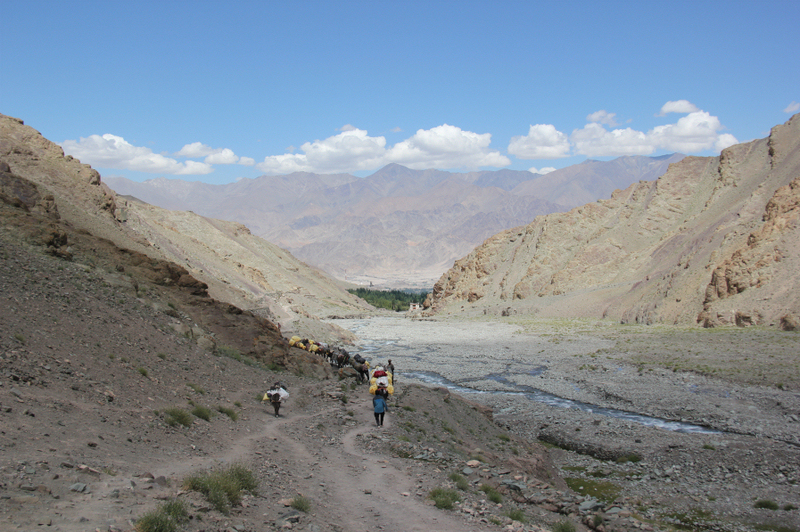 During the walk back, we all split up and pretty-much went at our own pace, which was nice. 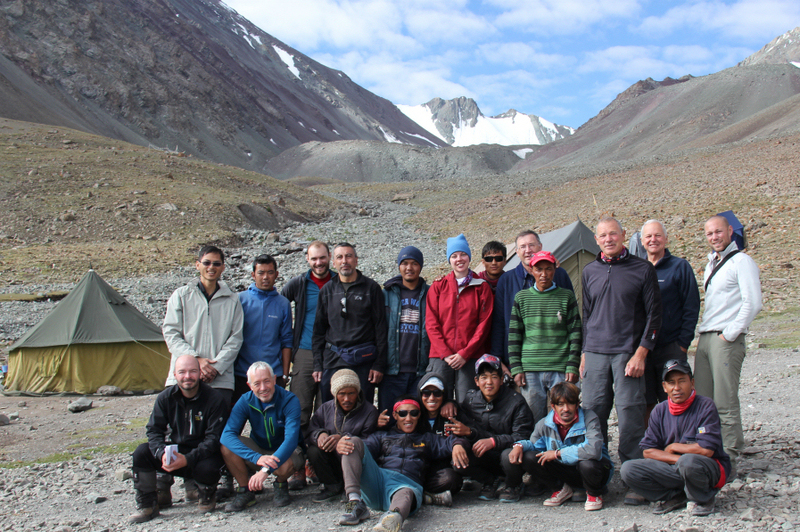 We arrived back at Base Camp 11Hrs 30Mins after setting off at midnight. It was now almost lunchtime . The remainder of the day was spent mostly relaxing and catching-up on sleep. 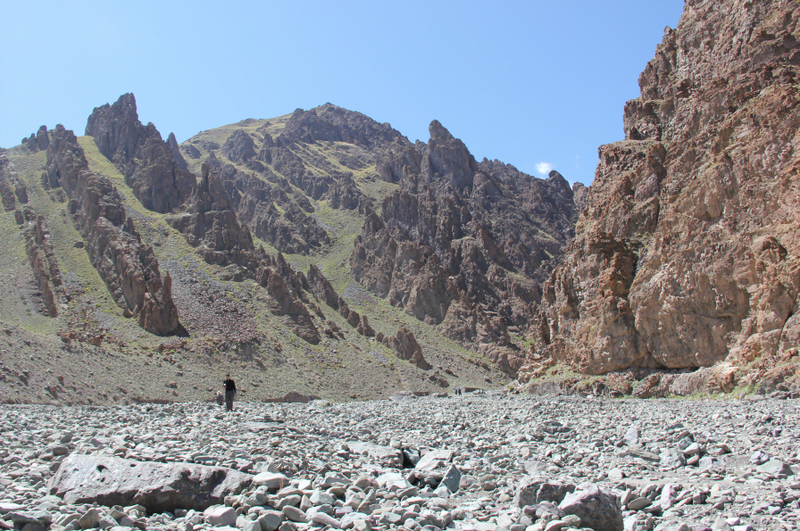 Next day we had to walk out from Base Camp (4950m) to Stok (3500m). 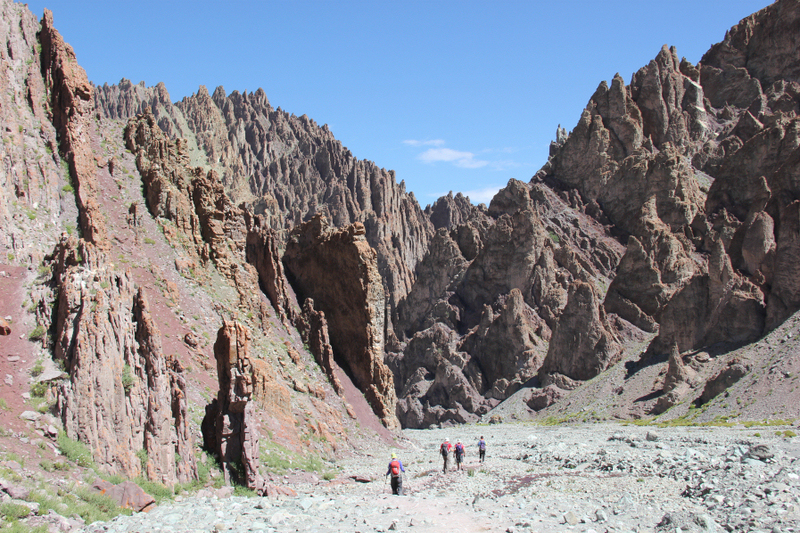 We got great weather for the walk back out to Stok . 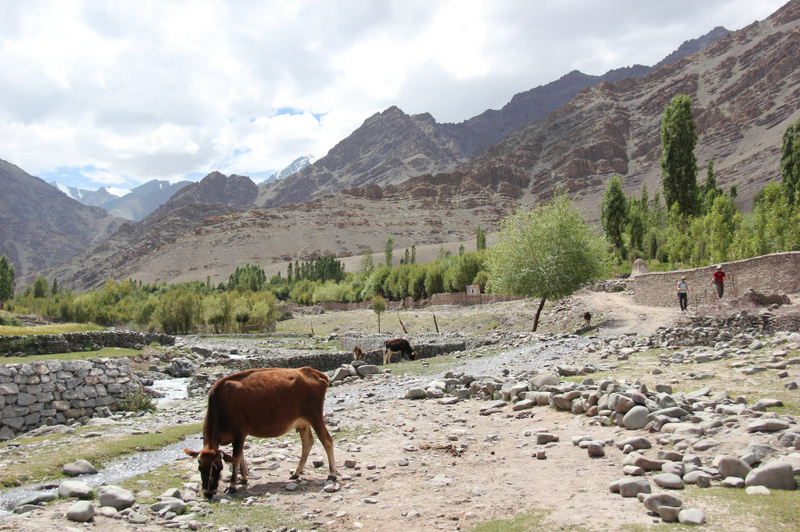 This is the trade-route up the mountain. 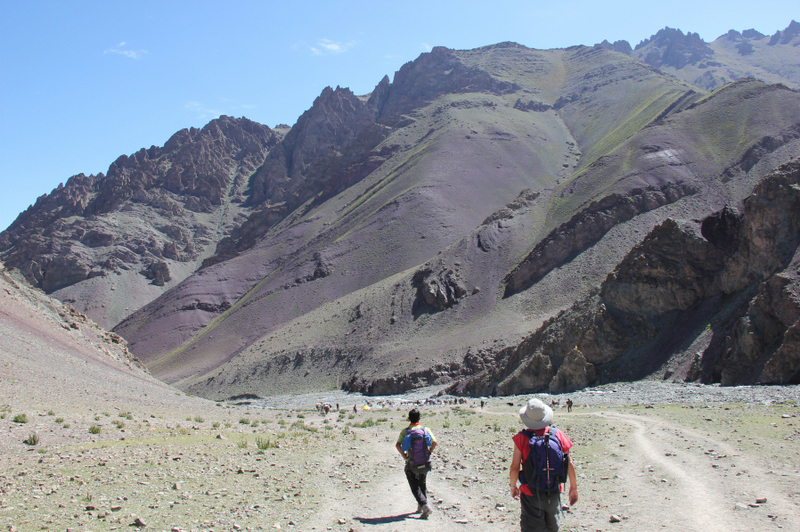 This concludes what was both an epic trek and a fantastic ascent of Stok Kangri. 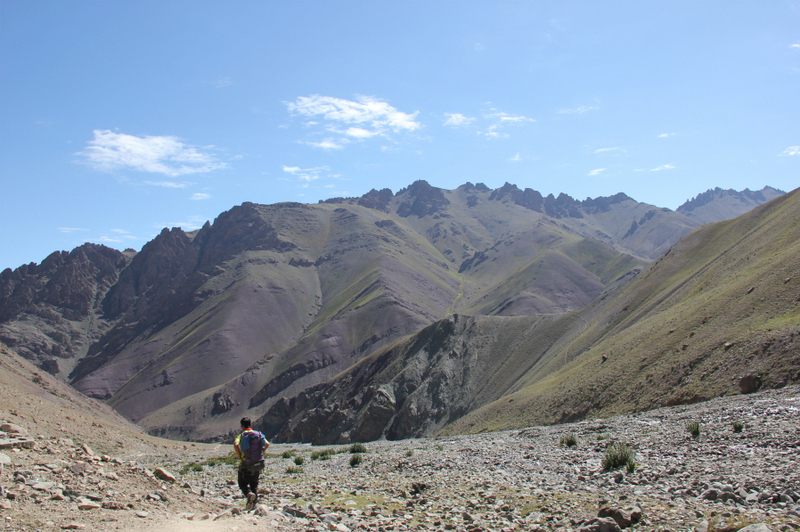 I undertook this trek with a view to raising money for Tayside Mountain Rescue. A huge thanks to all my friends and family who have donated money for this great cause. 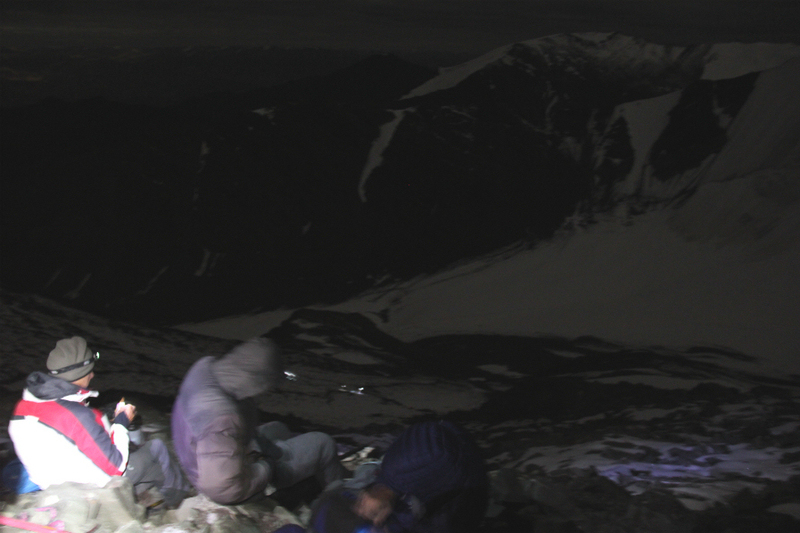 Postscript: £1,145 was raised for Tayside Mountain Rescue.